Shadeem Ford-Wright a.k.a. Gloomy Grade was born June 11th 1988 in Toronto, Ontario, a city which he is proud to call home. Born into a family of musicians, Gloomy’s mother was a singer and his father, a reggae artist in the late 80’s and early 90s. His uncle, Louie “Ox” Rankin, is well known in the music industry, touting a Grammy award as well as a star performance in the movie Belly. Gloomy Grade first started his music career as a 7 year-old reggae artist, performing in a group with his older cousin “DJ Superstar”. In 1995 the duo “Rice & Salt” landed a spot on Toronto’s Breakfast Television show, as well as performing on the Much Music’s Da Mix with Master T.
At age 10, a young Shadeem, who would later become Gloomy Grade, decided to progress from reggae to hip hop. His influences include a wide range of influential hip hop artists, including KRS-ONE, Big Daddy Kane, Notorious BIG, 2pac, Busta Rhymes, Ice Cube, Snoop Dogg, Jay-Z, and Missy Elliot, as well as Canadian natives Sokreteez and Kardinal Official. Gloomy spent his teenage years honing his craft, and signed a record deal with TuffBoyz Entertainment in 2013. Gloomy Grade is a truly skilled artist, whose ability to cross musical genres is drawn from his genuine passion for music and performing. 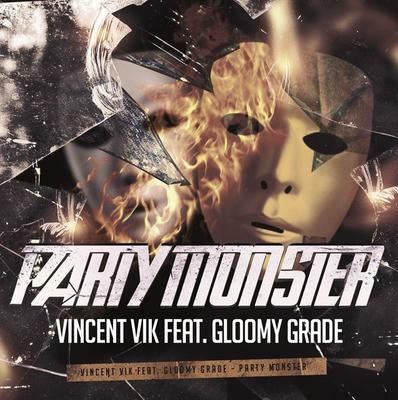 2015 will see Gloomy Grade continuing to explore EDM with DJ Vincent Vik, more European performances, as well as further developing his repertoire.